One of the biggest bummers about superhero movies and an increasingly slim group of tentpole blockbusters taking over theatre spaces is that the number of interesting mainstream releases tend to get overinflated long before they're released. When there are only eight or nine action or horror movies in a year, it can be easy to get overly excited for them and treat them with more kindness than they deserve. Having said that, I couldn't be more excited for "The Predator." I grew up watching the VHS tape on repeat, memorizing it. When I heard they were making a new one (after the coolly received 2010 reboot, which I liked more than most) I was excited. When I heard it was being written by Shane Black and Fred Dekker, I just about plotzed. Black and Dekker are two of my favourite writer/directors. They pushed their brand of media-savvy sarcasm into interesting and increasingly strange places (just watch Black's "The Nice Guys," one of the weirdest and funniest scripts produced by a major studio in my lifetime, or Dekker's career-killing "Robocop 3," which is better than its reputation suggests, but then it would have to be). These guys were funny, smart and they loved their jobs. The idiosyncratic dialogue, when directed properly, had a delirious screwball rhythm, and the emotional payoffs are plentiful. Their collective body of work, which also includes "Night of the Creeps," "The Long Kiss Goodnight," "Kiss Kiss Bang Bang" and "Iron Man 3," is an enormously fun look at media consumption and the way we're shaped by genre films. 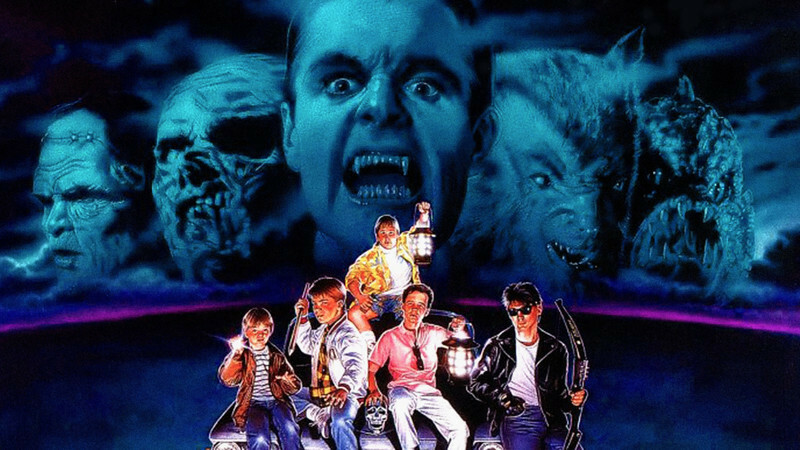 But no movie better represents their outlook, their affection for film and television, than "The Monster Squad." Like Stephen King's "Stand by Me" or "It," "The Monster Squad" is about a gang of kids who are bound together by their encounters with monsters. Dekker's direction of the mythic environs from which they escape and the quaint town the kids inhabit, which they must defend from the creature invasion, is flooring. He turns every corner of the dusty hamlet gorgeous, rendering kids bedrooms, Tranyslvanian castles, and messy tree-houses into twisted Norman Rockwell-esque gold. Like "Raiders of the Lost Ark," the faded, mussy quality of the lighting and production design situates us in a world created by graphic novels and old serials. This is a town papered over with old culture, but never lost in its own nostalgia. Black and Dekker's gleefully snarky language keeps the film in the present, making the film as funny and fresh as it was 1987. It's the kind of movie I don't want to see more of, because no one seems to be able to productively use their nostalgia for good anymore. It's why every one of those eight or nine action and horror movies I mentioned above are sequels, remakes, reboots, re-imaginings, etc. So … yes, I'm very excited for "The Predator," but I also wish it hadn't taken this long to hand Black and Dekker money for their own ideas.